Since Bitcoin garnered traction in 2016/2016, the crypto & blockchain industry has been overtly lauded as a catalyst behind a “brain drain” on Wall Street, Main Street, and even Silicon Valley. Case in point, notable talents from the legacy industries’ most preeminent conglomerates, like Starbucks, Google, PayPal, amongst others, have flocked to this firms investing in this space, including Facebook. While copious amounts of time, capital, experience, and knowledge have been dedicated to the good word of cryptocurrency in recent months, the flow of talent has seemingly begun to reverse, as Wall Street’s foray into this budding market has (slightly) abated. One of the crypto space’s earliest companies, Blockchain.com, headed by long-time crypto pundit Peter Smith, has long been a company focused on common Joes & Jills, offering simple, easy-to-use and access wallets for millions. However, in June of 2018, the company made an ambitious step in a new direction, launching Blockchain Principal Strategies (BPS) in a move that played to the “institutional herd is coming” narrative. And at first, Blockchain got off to a great start, hiring Jamie Selway, a veteran of the intense Wall Street environment, to become its global head of institutional markets. Yet, a report from The Block has revealed that Selway has fled Blockchain’s offices. Per the exclusive report, the San Francisco-headquartered upstart, which also sports offices in financial capitals New York and London, has begun to shift its institutional business strategy. In a company statement, Blockchain did acknowledge Selway’s value to the company, but then noted that “that segment” has slowed as the “needs of professional [crypto] investors have grown over the last year. And as such, the company determined that it was best if it handed over the institutional reins to more crypto-centric businesspeople, who would be more fit appealing to “crypto-native” firms, funds, and investors. This report comes just weeks after Coinbase underwent a near-identical debacle. According to previous reports from NewsBTC, Jonathan Kellner, the former chief executive at brokerage giant Instinet, was dropped from Coinbase’s pool of hires, as a “power struggle” had ensued between the “crypto OG” and the “Wall Street guard.” Dan Romero, a long-time member of Coinbase’s top brass, commented on the matter. Romero, who took Kellner’s proposed role, noted that while Kellner is an “exceptional leader,” Coinbase thought it right to refocus its efforts on its retail business and hedge fund services, rather than broader institutional-focused products. The Coinbase vice-president explained that this move to drop Kellner was a byproduct of his company’s waning focus on “mainstream financial brands,” a likely hint that interest from Wall Street’s most notable hotshots may be scant amid this bear season. While the aforementioned moves from Coinbase and Blockchain may leave traders wondering when Wall Street is ready to down the Bitcoin red pill, the rise of over-the-counter (OTC) desks indicates that there is still demand from institutions. After Coinbase unveiled its OTC desk behind closed doors in late-2018, competitor Binance has hopped on the gravy train. Following a $3 million capital allocation into Koi Trading, Binance launched its own OTC desk on January 23rd. According to an announcement on the company blog, Binance’s new institutional-focused offering, which supports the 80+ digital assets listed on Binance, would be available for accounts that have completed “Level 2” KYC verification and that are looking to trade over 20 BTC (~$69,000) worth of value at a time. Binance isn’t alone in its efforts to spark interest from high-ticket customers. BitGo, in collaboration with Digital Currency Group’s Genesis Trading, recently launched the most innovative OTC offering to date. The Palo Alto-headquartered upstart, which has serviced Ripple, Pantera, Bitstamp, among others, noted that it would be allowing clients to “buy and sell digital assets directly from the security of their BitGo Trust cold storage account.” In other words, BitGo and Genesis just launched an OTC desk that has the former mentioned company’s cold storage expertise built-in. Genesis, headed by Michael Moro, will provide its expertise in facilitating large-sum, institutionally-sourced transactions, while BitGo will leverage its veteran status in the Bitcoin custody subsector to provide security for the offering. 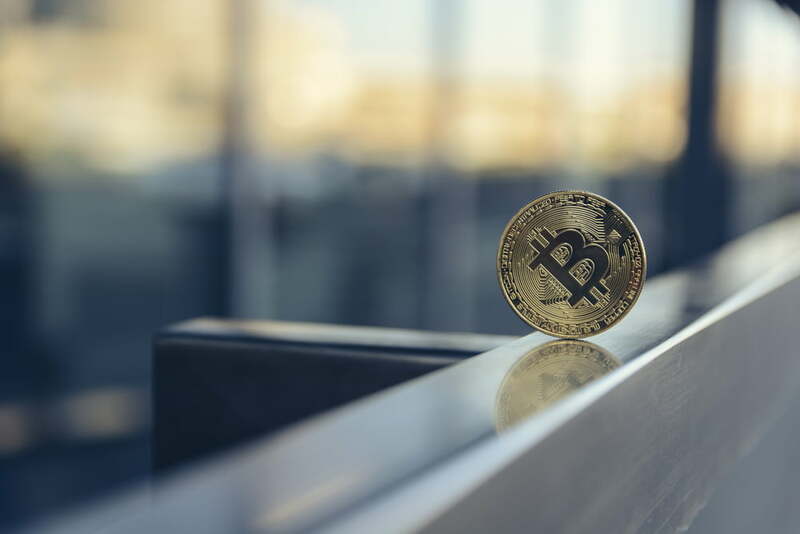 In a seeming bid to capitalize on institutional interest, BitGo has also recently launched more expansive fiat capabilities for its myriad of clients. In a company release issued Monday, the company disclosed that it would be allowing its clients to directly deposit U.S. dollars through wires, which reduce friction for BitGo’s newfangled OTC operation.